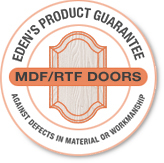 Company Profile – EDEN CNC PRODUCTS, INC.
We Welcome the Opportunity to Create Custom Doors for Your Needs. We Appreciate Your Business and Look Forward to Working With You. expertise to produce the highest quality products we can make. Now as custom cabinet makers for the past twelve years our commitment to the highest quality CNC products is a direct result from our customers needs. With our computerized machinery the quality of each and every door produced as well as our consistent lead times has produced many satisfied customers.